Congratulations: You are taking an important step to ensure that your wishes will be known and followed. ****Making it easy for those—family members, caregivers, executors, and heirs—means that they will be able to do exactly as you wish. While a majority of your assets are disbursed in your will, there are many items that need to be addressed outside of physical assets. Naming a power of attorney and executor is just one step. It is important to get all your finances organized so your heirs can easily locate what they need. According to the National Association of Unclaimed Property, around $32.9 billion assets are currently unclaimed because they were not designated properly and the State claimed them instead of the family. So, whether you decide to write up your will with an estate planning attorney or not, you still need to get everything in order. Two of the most important documents that are easily overlooked are your life insurance policy (especially policies from former employers) and any retirement plans (as well as annuities and pensions). If your heirs don't know these exist, they won’t claim them and the funds usually go to the state. It is wise to try to keep them together. 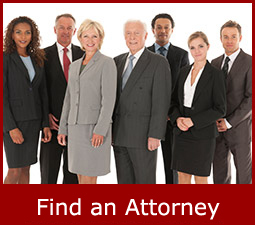 ***Once your Last Will is completed, go to www.theuswillregistry.org to register your Will with The U.S Will Registry. Registering your Will is free and ensures that in the event that your most recent Last Will can’t be found, your Will can be quickly and easily located when needed—and will also remain completely private until needed. 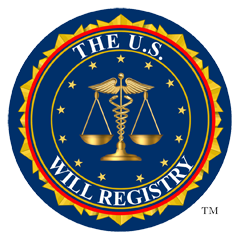 The U.S. Will Registry does not hold the actual copy of the Will, it holds the location or attorney holding your will.